Search Engine Optimization - ABTACH Ltd.
them to take competition head-on with a solid SEO strategy. Search Engine Optimization has been a long-lived service that ABTACH Ltd. excels at. Search engines contain a massive amount of information. An efficient and refined system is required to make your business rank at the top. We have the perfect solution for you - our SEO managers efficiently track and keep up with the changing algorithms and fluctuating trends in SEO. 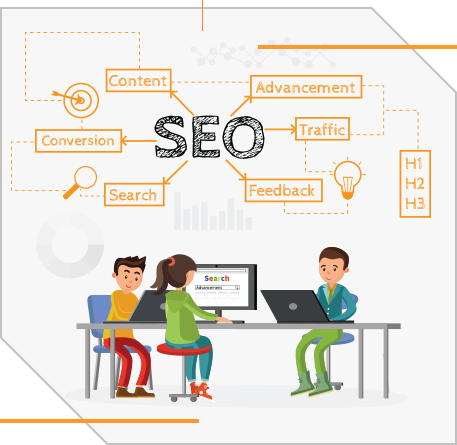 At ABTACH Ltd. a team of Google Certified Marketing Consultants devise a comprehensive strategy and methodically select an array of keywords to exploit SEO to its maximum. Our aim is to help your company achieve its desired results and generate a steady influx of organic traffic.